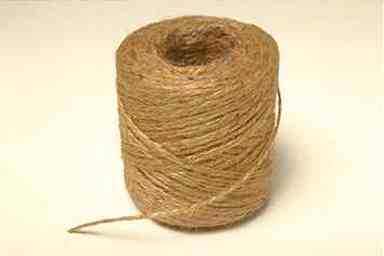 20,000 to 30,000 years ago early man developed the first string by twisting together handfuls of plant fibers. Preparing thin bundles of plant material and stretching them out while twisting them together produced a fine string or thread. Copyright (C) Zeuter Development Corporation, 1996-8. All rights reserved.